The life of William John Hall can be outlined from his surviving Service Record which is to be found amongst the so called “burnt records” that were retrieved after the archive was hit during the Blitz in the 2nd. World War. His attestation form, filled in on December 10th 1915 when he was enlisted in King's Lynn by Colour Sergeant Drake, a paid recruiter, tells us that he was then aged 27 years and 11 months. The form gives his address as the Square in (Little) Walsingham, says he was unmarried, C. of E. and that he worked as a farm labourer. This information was verified when he was mobilised in Norwich on February 29th 1916 in Norwich by H.G. Beale, Lt. Col. commanding depot Norfolk Regt. who appointed him to the Royal West Surrey Regiment as Private G/8069. Additionally on the “Descriptive Report” and “Medical History” forms he is measured as 5 feet 6 ¾ inches tall, weighing 10 stone 6lbs. with scars on his left temple and on right eye. His father is given as Noah Hall, then living at Grimston. After enlisting he was posted to the 3rd Btn. R.W.Surrey Regt. on March 2nd 1916. for training. During that time he was briefly appointed an unpaid L/Cpl., reverting to Pte. in July a month later. 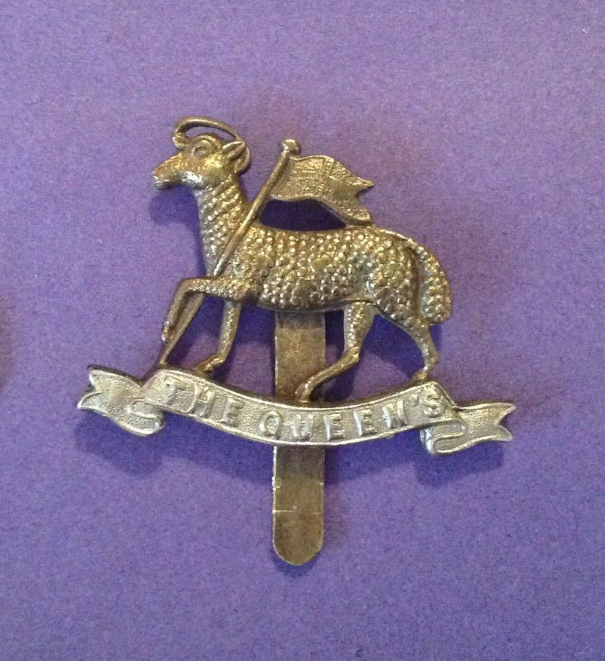 In August he forfeited 7 days pay for some unknown reason and was then posted to the 7th Queens in France on September 7th, finally joining the 1st Btn “The Queens” Regt on October 27th. In June 1918 Noah received William's back pay of £7-13/-4d. and a further £4 War Gratuity in October 1919. So far the Service Record has nothing to link William Hall to Great Ryburgh, but a search of the Census points us to Langor Bridge, Little Ryburgh and Great Ryburgh. William was born at a time when Langor bridge was part of Kettlestone Parish where Noah worked as an M&GNR platelayer and the family lived at the railway crossing gate-house. By 1901 it was part of Little Ryburgh and 1911 shows William at work in F&G Smith's flour mill in Great Ryburgh. The school registers also show that all the Hall children did or must have attended Albert Foster's school in the village. The registers only record the younger ones as they were not begun until 1902. Noah was born in London Street, Whissonsett in 1851 to Mary Hall the eldest child of William and Celia Parker. Mary Hall/Parker married James Pawley and the remainder of Noah's siblings bear the Pawley surname. Noah married Ellen Maria Dawson in Fakenham on December 25th 1873 and as seen above went on to have ten children, the name missing above being Albert Victor who is thought to have died in Colchester in 1919. The failure of the 98th Brigade to join up. The non appearance of two Tanks. The wire being uncut between 1st and 2nd German Line. The difficulty in keeping up the supply of bombs etc. and the following casualties occurred. Officers Killed, Wounded and Missing all named. William John Hall was one of those 308 missing men and his body was never recovered for burial. His name is recorded on the Arras Memorial and found in Bay 2, Course “C”, Stone No 4. Read more about the ill-fated attack on the Hindenburgh Line by following the link.